On 26 April 2010, the ESO Council selected Cerro Armazones as the baseline site for the planned 40-metre-class E-ELT (more). 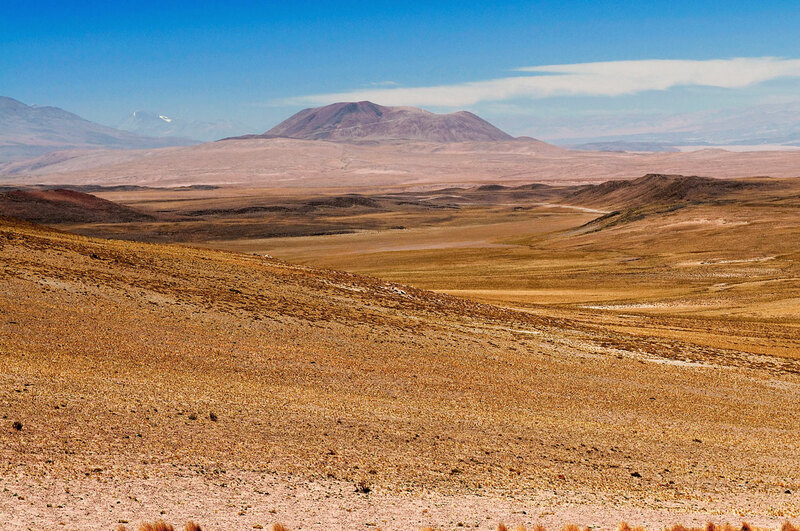 Cerro Armazones is an approximately 3060-metres high mountain in the central part of Chile’s Atacama Desert, some 130 kilometres south of the town of Antofagasta and about 20 kilometres from Cerro Paranal, home of ESO’s Very Large Telescope. 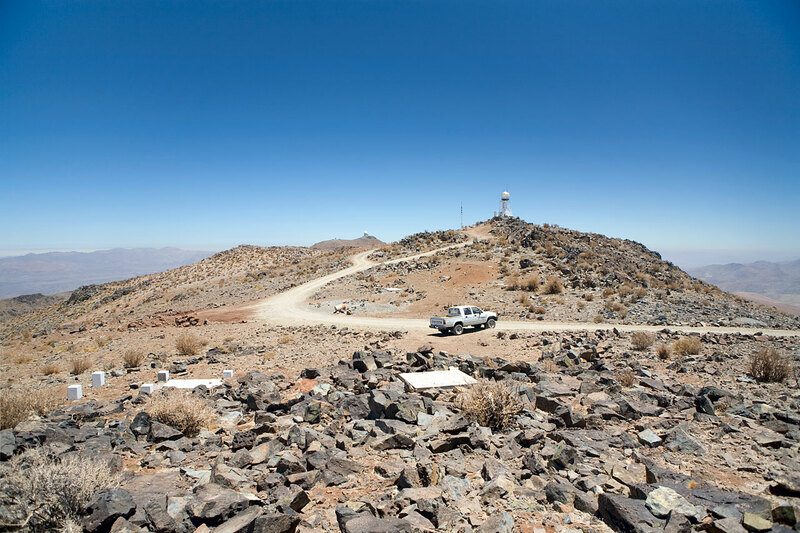 Cerro Armazones adjoins the existing VLT and VLTI site at Cerro Paranal and the VISTA facility at the NTT peak. The altitude of the site above sea level does not pose logistical problems for operations while meeting the science requirements for low precipitable water vapour and low operating temperatures. The median seeing is 0.67 arcsec at 500nm with a median coherence time of 3.5 ms. The rainfall in one year is of the order of 100 mm, with a median relative humidity value of 15%. The wind rose for Armazones is strongly focused to the north with almost no wind coming from the east, with a median mean wind speed of 7 m/s. The air temperature ranges between -15°C and +25°C, with a yearly median nighttime air temperature of 9°C with +/- 1.5°C median seasonal variations. The average air temperature difference between day and night is 4°C, and the typical air temperature gradient at night time is 0.3°C/h over 10 hours. The decision on the E-ELT site was based on an extensive comparative meteorological investigation, which lasted several years. Various factors were considered in the site selection process. Obviously the “astronomical quality” of the atmosphere, e.g. the number of clear nights, infrared properties (height, temperature, precipitable water vapour, etc), seeing, atmospheric turbulence profile, mean coherence length and time, outer scale length, etc., played a crucial role. Also other scientific aspects were taken into account such as the operation and scientific synergy with other major facilities (VLT/VLTI, VISTA, VST, ALMA and SKA etc). A significant role was played also by construction and logistical aspects, such as for example: the impact of the location on construction cost and schedule; considerations on where the observatory staff will live; if power grids capable of providing 10MW of power for observations were conveniently close; supply of water and so on. A Site Selection Advisory Committee (SSAC) was formed and was advising the ESO Director General who reports to the ESO Council. This independent committee has been analysing results from several possible sites worldwide in great detail. Similar efforts have been carried out by the Thirty-Meter Telescope (TMT) site selection team from the US. For the sake of efficiency, the sites pre-selected by the TMT team (all in North and South America) were not studied by the ESO team, as the TMT team shared their data with the SSAC. 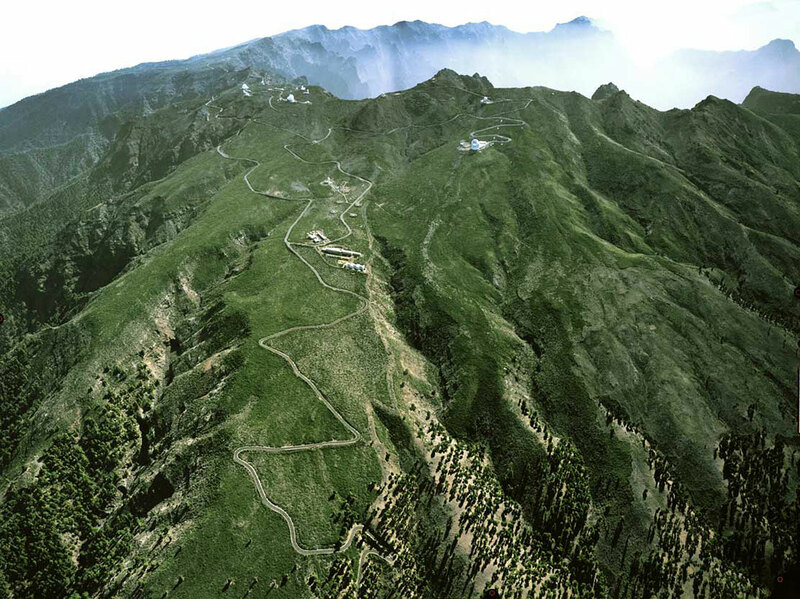 Two of the sites on the SSAC short list, including Armazones, were on the TMT list. In March 2010, the ESO Council was provided with a preliminary report with the main conclusions from the E-ELT SSAC. These conclusions confirmed that all the sites examined in the final shortlist (Armazones, Ventarrones, Tolonchar and Vizcachas in Chile, and La Palma in Spain) have very good conditions for astronomical observing, each one with its particular strengths. 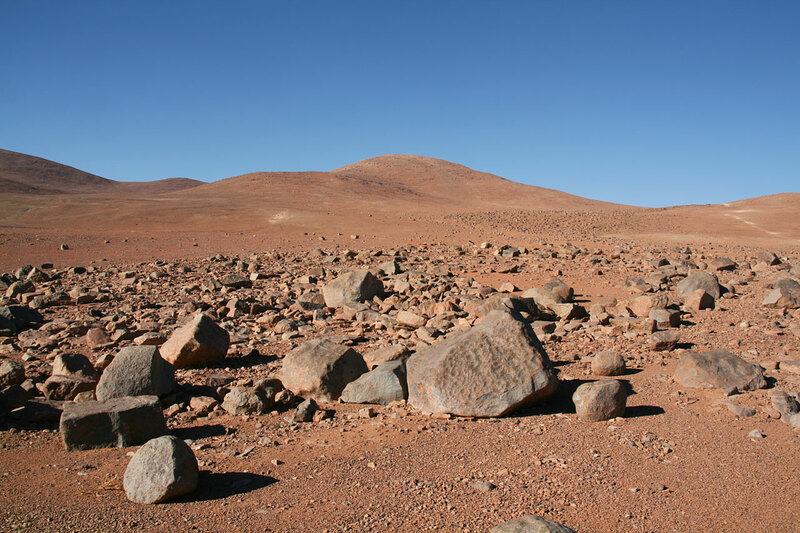 The technical report concluded that Cerro Armazones, near Paranal, stands out as the clearly preferred site, because it has the best balance of sky quality for all the factors considered and can be operated in an integrated fashion with ESO’s Paranal Observatory. 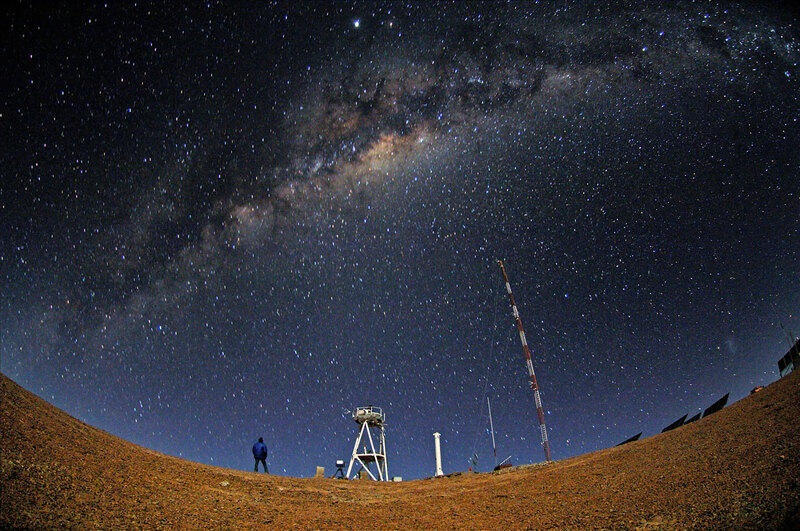 Cerro Armazones and Paranal share the same ideal conditions for astronomical observations. In particular, over 320 nights are clear per year. The site selection process was supported by FP6 activities described in an SPIE paper. From left to right: Cerro Tolonchar (Chile), Cerro Ventarrones (Chile), Vizcachas (Chile), Roque de Los Muchachos (Spain). These four sites were part of the E-ELT Site Selection Advisory Committee's final short list for the recommended site. Further pictures can be found in the Gallery.